Saint Francis of Assisi, whose feast day was recently celebrated on October 4, is considered by many to be the first “ecologist” in history. His famous Canticle of the Sun is an ode to life, nature and the interconnectedness of all living creatures and elemental forces. What better way to honor St. Francis’ respect and compassion for nature - much-needed today - than to walk in his footsteps along the Via di Francesco, a 550-km route in central Italy, departing from Florence and ending at St. Peter’s Square in Rome, passing through the green heart of Italy, Umbria, and, most importantly, the places and paths touched and loved by Francis himself. 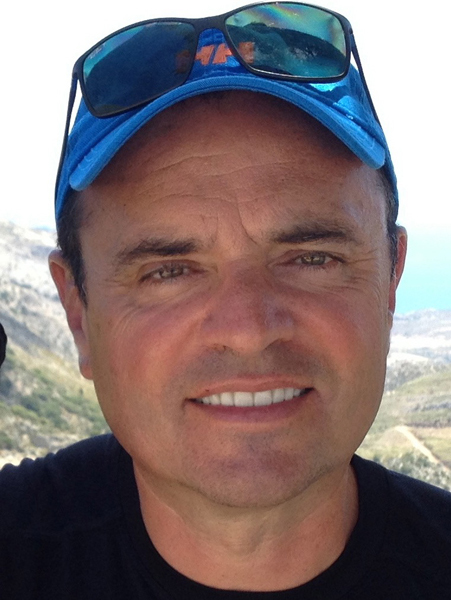 For ITALY Magazine’s “Walking Italy” series, I had the pleasure to interview Sandy Brown, the author of “The Way of St. Francis,” published by Cicerone Press, a U.K.-based publishing company specialized in walking, trekking, cycling and mountaineering guidebooks. Brown, a keen long-distance walker and ordained minister from Seattle, trekked across “one of the world’s greatest pilgrimages” and documented his journey in a wonderful little guidebook – perfect size to fit in your backpack! – which contains detailed route descriptions of each stage of the journey, along with maps, practical information and stories from the life of Saint Francis relating to the locations visited during the trek. Sandy, you mention in the guidebook that the topography is rugged, and there are climbs and descents almost every day. What kind of fitness level is required to undertake this trek? 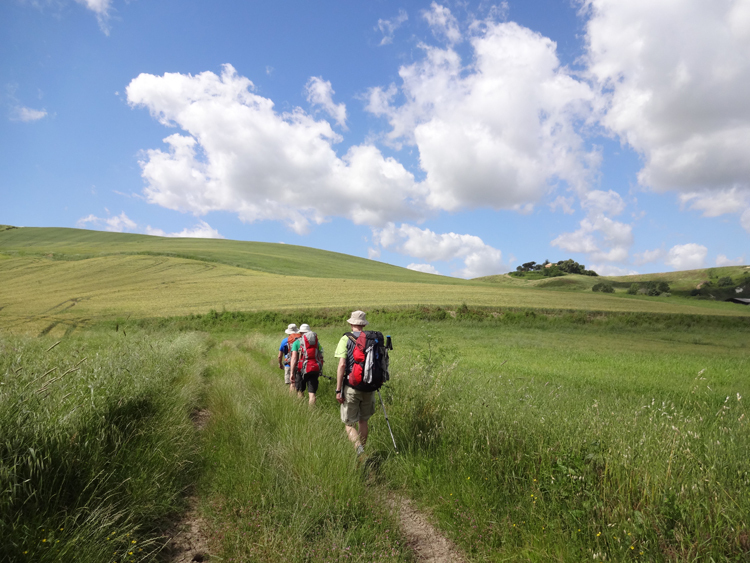 Due to the mountainous terrain, several days of this walk are best for people who are in average or above average shape. I'd discourage people with hip, knee or ankle problems, and also those whose cardio conditioning would make it impossible for them to climb a steep hillside. Of the 28 stages you describe in the book, what was your favorite and why? Every day has an extraordinary vista of mountains, valleys, lakes, or charming hill towns. 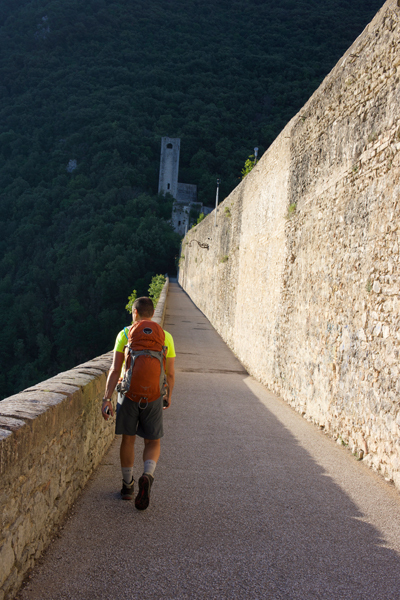 My favorite, though, is the walk out of Spoleto to the tiny town of Ceselli on the way to Arrone. After 45 minutes of steep climbing, the little convent of Monteluco, which hosted St. Francis, is a welcome oasis. After a more gradual climb through a gentle forest, a breathtaking vista opens up over a steep gorge above the Valnerina. It's absolutely stunning. Can you still feel the spiritual presence of St. Francis along the route? If so, in what ways? St. Francis loved nature, and this walk through his homeland echoes with his presence in most every step. Often when I mention St. Francis to a native resident, I see a tiny smile. St. Francis is still beloved by the descendants of his friends and neighbors, and they each have a story to tell about what he did or said nearby. What is a story from St. Francis’ life related to one of the locations on the route that has particularly struck you? St. Francis is said to have taken literally the scripture passage, "preach the good news to all creatures." My favorite story focuses on the historic town of Gubbio where residents were haunted by a wolf that had developed a taste for human flesh. They begged St. Francis to intervene with the fearsome creature and then were amazed when the wolf sat peacefully at his feet while the two made a bargain. If the townspeople would feed him daily, the wolf would leave them alone. The bargain was upheld by both sides for the remaining two years of the wolf's life until he died of natural causes. A church was dedicated in honor of this encounter and, in the late 19th century, during renovations, a wolf's skeleton was found under a stone slab outside the chapel. The skeleton was exhumed and placed under the altar of the tiny church on the outskirts of Gubbio, right along the trail. Can you describe how you felt when you reached St. Peter’s Square, the end of your journey? Rome is a wonderful place to visit, but nothing compares to the feeling of walking there. I sometimes feel pilgrims at St. Peter's who took a car or bus or train or plane look at us - sweaty, walking pilgrims - with a combination of pity and wonder. The many long days of walking to achieve the goal makes it even more precious. Our pilgrim credentials allow us to walk into places at the Vatican others aren't allowed and few joys compare with the feeling of accomplishment when we are finally handed our pilgrim “testimonium”, the completion certificate, inside the Vatican walls. What were you able to get from this walking journey that you couldn’t have gotten if you had driven it? A daily itinerary of 25 kilometers on foot offers a deep connection with the sights, smells and tastes of this territory that is impossible by car or even on a bicycle. If one is open to it as a sort of walking prayer, punctuated by stories of St. Francis, it can be a deeply moving physical, mental and spiritual experience. For those who don’t have the time to do the entire trek, but have only a few days, what section of the route would you recommend they did and why? 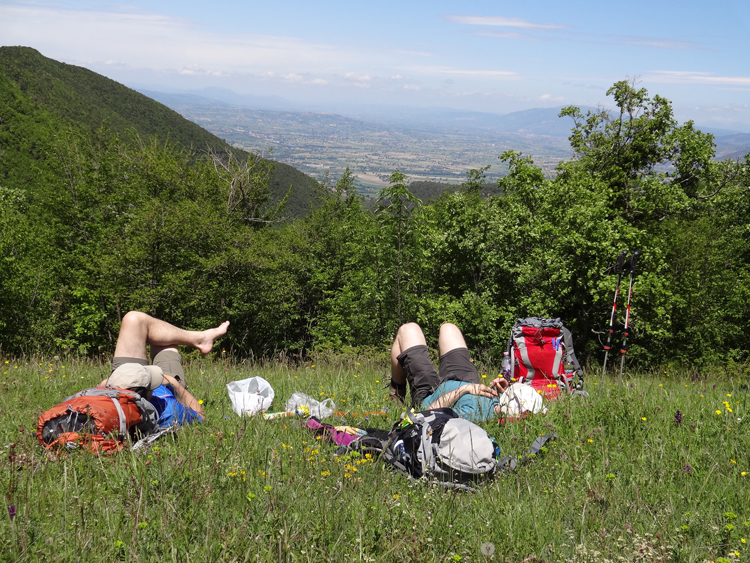 A great two-day walk in the countryside would be from Gubbio to Assisi. There are several agriturismi along the way that offer a charming overnight, and Assisi is the center of the celebration of St. Francis' life and message. Walking south from Assisi to historic and sophisticated Spoleto takes pilgrims through the lovely towns of Spello, Foligno and Trevi. My last chapter guides walkers through the Seven Pilgrim Churches of Rome, which is a one-day experience over 25 kilometers that shows a Rome most tourists never see. What advice would you give to someone who decided to undertake this trip? Be in good shape. Pack light. Brush up on Italian phrases. Bring an appetite for great food (actually, the walking will see to that). Read a bio of St. Francis to deepen your understanding of his story. Relax and enjoy -- you are in for an unforgettable experience. "The Way of St. Francis" guidebook contains a detailed description of each stage of the route with maps, preceded by an introduction with a biography of St. Francis and practical information on travel, training and equipment. Ready to get walking? Order your copy here (and get 25% off until October 18).